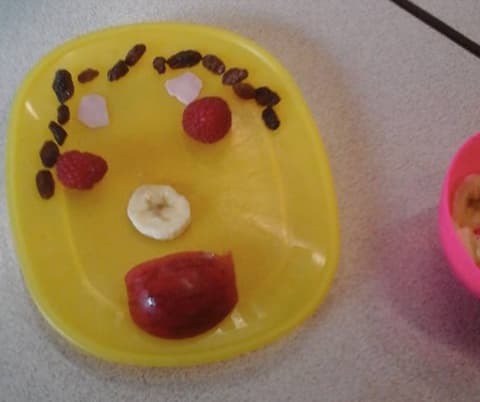 So we all know that messy play, unstructured and exploratory, activities are supposed to aid cognitive and creative development (knowledge and reasoning ability and imagination to those of us who didn’t swallow a dictionary for breakfast). They are supposed to be fun, be educational and above all be slimey, grubby, yucky, gungy and even smelly! 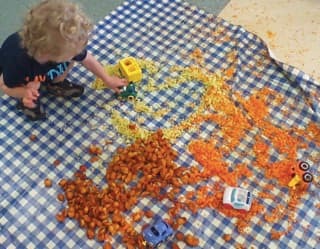 This type of activity, according to Nursery world, encourages children to learn through discovery using all their senses and helps strengthen children’s concentration (nurseryworld.co.uk/nursery-world/news/1101074/fine-mess). But what activities are the best? Which create the most opportunities for this fun and development and which are the easiest to A) make and to then B) clean up after? 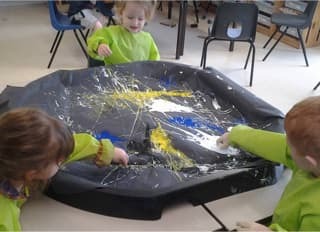 The following are tried and tested by nursery nurses and mums and in our humble opinion are the top 3 messy activities. Chocolate Angel Delight or other milk type whips. This can be used for all kinds of activities, dinosaur or crocodile swamps, horses’ paddocks, driving tractors through fields or even muddy pig pens. You can play bathing/cleaning the ‘dirty’ animals or just enjoy splodding them around in the gloopy mess. 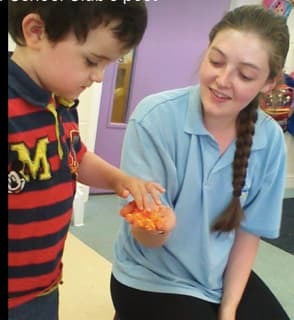 Playing with animals in this way can encourage children’s knowledge and understanding of the world around them and ‘washing the dirty animals’ can help development personal hygiene and self-reliance and ergo self esteem. So long as your children don’t have milk allergies this activity not only looks great but smells amazing and tastes good too! Not that we encourage children to eat the activity of course but licking sticky fingers is almost inevitable. 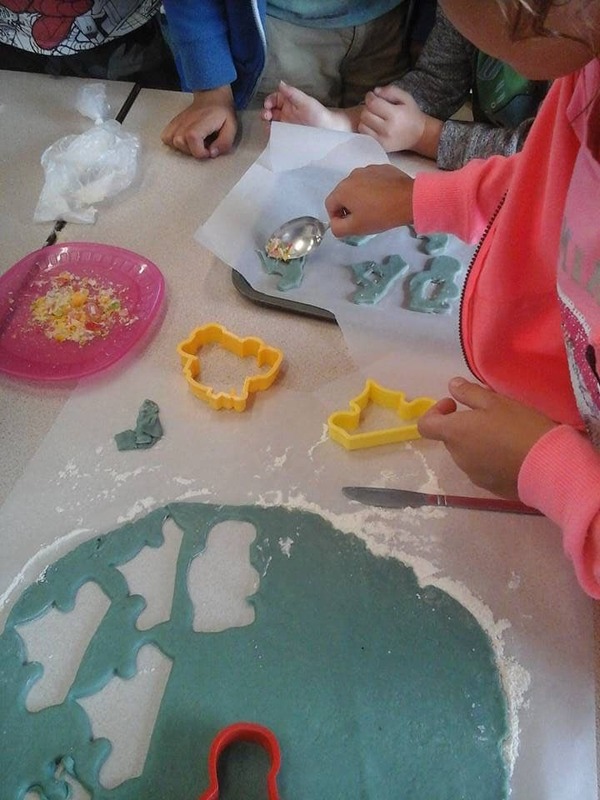 This type of play has no end product so cannot be done wrongly there is no focussed result so the children are free to explore and manipulate the materials as much or as little as they wish. Food play of any type can also have the benefit of encouraging the picky eaters in our midst to try new things in a non -stressful environment. 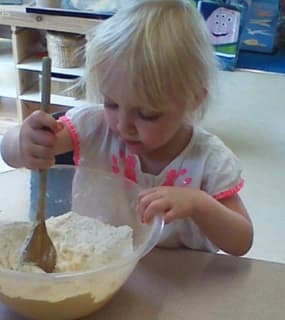 A study published in the Journal of the Academy of Nutrition and Dietetics (jandonline.org/article/S2212-2672%2815%290222-1/abstract?cc=y=) found that children who were comfortable getting their hands dirty and playing with food were more likely to try different tastes and flavours. Side Note Top tip for fussy eaters. 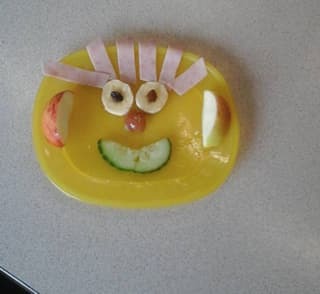 If your little one doesn’t like to get their hands dirty or messy try letting/helping them create pictures or faces with their food rather than be actual hands on playing with it. Let them watch then copy you as you examine new foods through sight smell and touch before taste. In effect take away the ‘fear factor’ show your child it’s acceptable to be unsure and then by setting the example of trying something your child may feel more inclined to copy. Hmmm well eating too much can result in a, let’s call it a messy activity of a different type (gag), and getting it in hair and clothes proves smelly by the end of the day so a bath is generally in order, as is a plastic play mat to protect carpets. Buns, biscuits, scones, pizza and bread all provide an excellent opportunity to get messy with the added advantage of eating the final product! Simple, easy to follow recipes (bbcgoodfood.com/recipes/collection/kids-baking) can be fun, messy, exciting and educational. Discussing the ingredients and their origins, “no eggs come from chickens not from supermarkets darling” provides knowledge and understanding of the world around us. 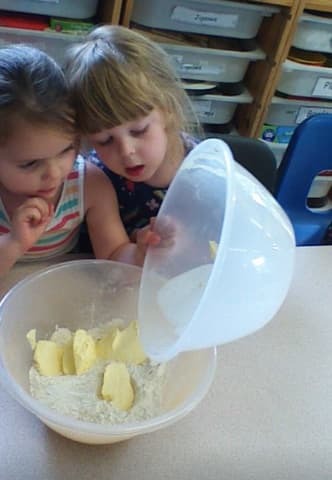 The language used in weighing and measuring the ingredients, the discussion that can be had around baking time duration and oven temperatures all helps children’s understanding of maths and develops communication. 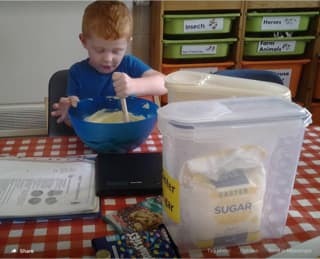 Baking activities can be as simple or as complicated as you want them to be and only depend on the time you have, the ingredients you have in stock, (or your willingness to go shopping) and the age and concentration levels of the children doing the activity. You can engage the children with cooking dinner or dessert, one less job for later, and children are more inclined to eat or at least try something they have helped to make. Trying to convince younger children to wait until after their dinner to eat buns they helped make can prove challenging, of course this does depend on how strict you are with their diet. 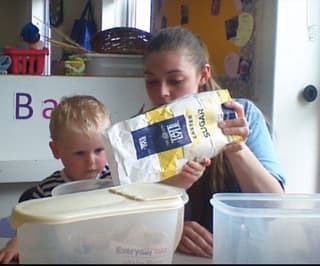 Also the baking/ cooking part of the activity is generally more fun and popular than the washing/cleaning up side (shocker I know!). You also need to not be too concerned when little ones sneeze, cough or shed hair into the mixtures, there is after all only so many times you can re wash hands or little remove fingers from little noses. 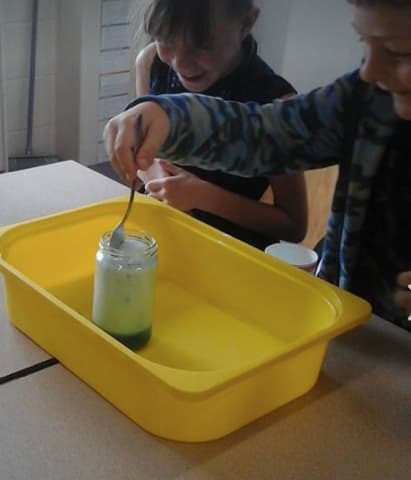 Made with half a cup of water, 3 tablespoons of bicarbonate of soda, 1 teaspoon of washing up liquid then add some glitter and or paint stir this up then add 1 cup of vinegar to watch the potion come to life. This activity is a messy science experiment with fun results for the budding Harry Potter, witch, scientist or fairy amongst the children. 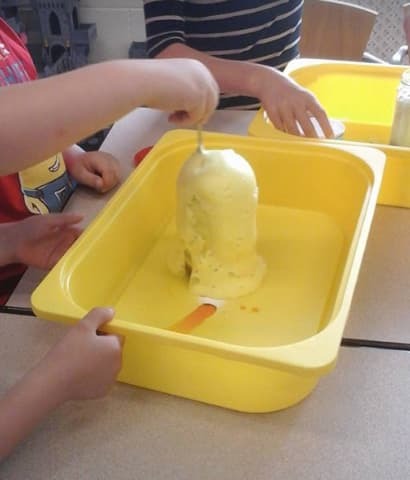 The more bicarb and vinegar you add the more the potions fizz and erupt. So much choice in colour and amounts of fluids that older children can experiment with. Colour combinations and mixing various amounts of ingredients provide different results every time and if contained in a plastic tray not too much cleaning up involved. The vinegar stinks! There is no getting away from the fact that the room will smell like an unappetising fish and chip shop for a few hours! 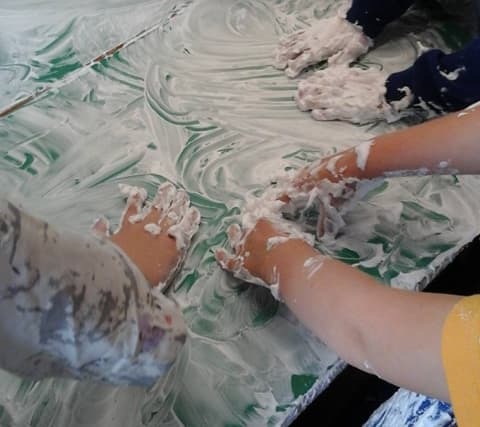 Of course one solution to giving your children opportunity to explore and experiment with messy activities whilst keeping any clearing up to a complete and absolute minimum is to join a messy play group! 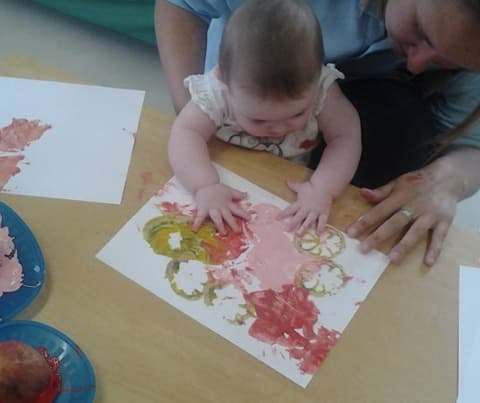 Blue Sky Day nursery hold a ‘stay and messy play’ session on the third Wednesday of every month 9:30am – 11:30am for just £2!! 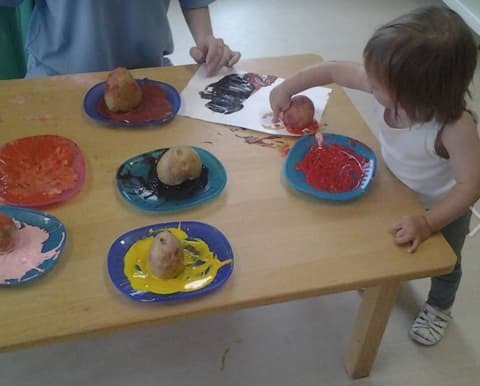 For £2 your child gets to make as much mess with a variety of activities as they can, they get a biscuit and a drink of juice, they can interact with other children, or not, and then play on the soft play frame to exhaust any residue energy they may be storing and all this is supervised by qualified nursery nurses! Perfection!